“It has always been my dream to become a Carnival Queen; I have waited for this moment my whole life. It is a great responsibility for me, to represent my people in the role,” explains Virginia Hernández, the holder of the title in 2013, from her dressing room at the Hotel El Panamá. Much as to be expected, one might think. But Carnival in Panama is anything but what one might expect. Government sponsored, the event is designed to act as an international calling card for the destination, showcasing the best of what it has to offer here to eager overseas visitors. Investment runs to $3 million annually, as politicians put on a party they hope will draw crowds from around the world. Thousands dutifully attend, with 15,000 international visitors in town over the Carnival period. The figure has doubled in recent years, as the government channels funds from the renationalised Panama Canal into overseas advertising. Key markets for the annual event include developing nations in Latin America – Brazil, Ecuador and Colombia for example – but also America and Europe, with a few German, English and Dutch voices audible when strolling between stages. They join nearly half a million Panamanians as they party in the streets in the four days in the build up to Ash Wednesday. Though sometimes the party starts a little earlier, it always ends on Tuesday. 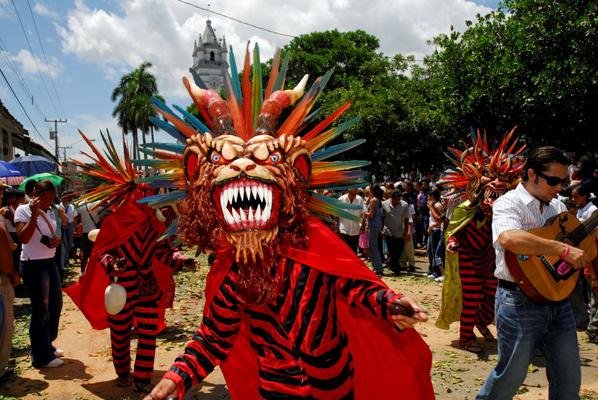 Panamanians refer to Carnival as ‘los carnavales’, with the entire country shutting down for the celebration. 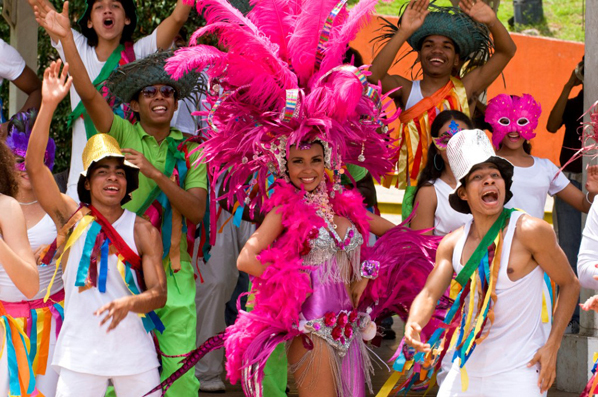 The Panamanian government has paid for the Carnival for a number of years. However, in 2010 the private sector was permitted to take over the operation of the event. This proved unsuccessful, with the national authorities forced to step in to pay bills of over $500,000 left outstanding. Following this, the government retook control of the Panama City Carnival, while smaller towns still organise their own events. Funding is in place until at least 2014, when a general election may see a change of government and subsequent alteration in priorities. “This, as with the whole tourism industry in Panama, is still a work in progress. While Carnival has been here since 1910, we only realised we were a tourism destination a decade or so ago. Perhaps second guessing journalists, the minister is also quick to downplay concerns over safety. “This is something which is very safe, but at the same time very exotic,” he explains. In the three years the Carnival has been in its present location on Cantu Costera, a lush park area overlooking the bay, there have been few “serious incidents” he adds – perhaps due to the 2,000 plus police officers, supported by soldiers, marshalling the event. Panama itself is marketing itself as a high-end destination. Boutiques line the streets, while the hotels – including the sumptuous Panama Bristol - rival those anywhere in Latin America. Internationally Panama City competes against Cartagena and Bogotá in Columbia for metropolitan guests, while Antigua and Costa Rica compete for beach tourists. But the Carnival is deliberately for the working people of Panama. “The Carnival in Panama is different to those in Rio de Janeiro, for example. Here you are part of the Carnival, in a lot of other places you are merely a spectator. Here, you are the Carnival,” explains minister Shamah. Those who can, however, go to Miami to shop during Carnival, showing a certain lack of patriotism. But, with everything in town closed for the four day duration, it is perhaps understandable. Carnival offers the government an avenue to spread the wealth generated by the return of the Panama Canal. Returned to the domestic government from American control in 1999, the wealth generated by the country’s most famous asset is slowly trickling down to the people. A new subway is being built in Panama City, while the number of gleaming skyscrapers under construction in the financial district rivals the boom years in Dubai. The economy has been growing faster here than in any other Latin American country for the past three years, with growth averaging nearly nine per cent a year for six years. This means, though it lies in Central America, the poorest and most violent region in the West, the 3.6 million citizens of Panama are now richer than most Latin Americans. Money has also found its way into tourism, with Visit Panama working flat out to boost the country’s international profile. “We are finding our way into the conscience of the world, we are getting to be a recognised as a legitimate tourism destination,” adds Shamah. They are being supported by the public sector, with airlift growing to keep pace with demand. KLM offers a direct daily service out of Schipol in Amsterdam, while Iberia flies five times a week out of Madrid. Both Air France and Lufthansa are also believed to be in negotiations to open new routes in early 2014. Charter flights are another growth area, with Condor recently stepping up its operations. However, British visitors are likely to be facing lengthy transfers in Madrid for some time to come. American visitors face an easier ride, with Delta offering daily non-stop services between Atlanta and Panama on a brand new Boeing 737-800. Panama, not least the Carnival, is growing in stature on the world stage, with next year’s Queen set to have even more subjects.